Every so often I like to dedicate a post to the Raleigh-Durham-Chapel Hill (RDU) hip hop scene and all the cool stuff happening here. Even though I travel fairly regularly, Durham, NC continues to be my home base. I love the Bull City and feel really proud when really awesome things related to hip hop culture in RDU happens here. It’s been over two years since a post was geared strictly to RDU’s hip hop culture [READ: The Revival of the RDU Hip Hop Scene: One Year Later]. So much has happened since July 2011. Matter of fact, a lot has happened since the original post in July 2010 [READ: The Revival of the RDU Hip Hop Scene], especially when you consider the size of our area. It’s very small in comparison to Atlanta, Houston, DC, or even Charlotte. As to be expected, over time there has been a lot of come and go of artists, brands and venues. Most interesting to note is how the artists, brands and venues that have remained consistent, continued to work and produce quality content and product, have grown and prospered. There’s something to be said for not giving up on your dreams, staying true to what you want to do and refreshing your brand to keep up with the times. Y’all hit the jump to check out a list of some of the awesome things about hip hop culture in RDU. This list is by no means meant to be comprehensive and is in no particular order. 1. DURM Hip Hop Summit: Last week, for the 2nd year in a row, Durham emcees Toon and The Real Laww presented an extremely successful event celebrating hip hop culture in RDU and beyond. 2013’s festivities spanned three sold out venues, included a beat battle, and multiple, well produced promo videos. 2. Nas and DMX performs in Durham: The god emcee and DMX comes to the Durham Performing Arts Center (DPAC), sells out all 2,712 seats and marks the first time a top name hip hop act performs in The Bull City in recent memory. Let some folks tell it, it may have been the first time ever. And between y’all and me, it was the first time I ever cried at a hip hop show. Those were tears of joy that FINALLY, promoters put enough faith in this area to bring a major hip hop artist to Durham and people came out to support it. I’ve got faith that Jay-Z will perform here soon. 3. Rapsody’s meteroic rise to fame: The Snow Hill, NC native has performed in South Africa, London and Japan. She’s been all over MTV and BET. She’s been interviewed by DJ Enuff on Hot 97 (THE #1 hip hop radio station in the United States). She’s been featured in every single major hip hop publication from XXL to The Source. She was featured in Boss Lady’s (Sirius XM) Rebook Classics all female cypher. She went on tour with my rapper boo Freddie Gibbs, that tour was sponsored by L-R-G. Jay-Z’s LIFE+TIMES featured a DECODED of her track “In The Town“. Oh and just on today, she dropped a Gangsta Grillz with the legendary DJ Drama. DJ Drama y’all. Mr. Thanksgiving. Barack O’Drama himself. Rapsody outchea winning. 4. The UNC Beat Making Lab has gone global: The production class started by Apple Juice Kid and Dr. Mark Katz at UNC-Chapel Hill has now grown into a global phenomenon and is sponsored by PBS. Apple Juice Kid and The Beast’s Pierce Freelon have traveled to Panama, Spain, Congo and other countries to build production studios and teach youth in those communities how to make beats. Follow their global journey on the Beat Making Lab’s blog. 5. Hip hop academia continues to flourish: For the past 8 years, emcee J-Bully (aka assistant professor Francis Roberts) has taught MUSIC 145: Hip-Hop/Rap Music Appreciation at Duke University. The class returns for a 9th year this Fall 2013 semester. Also, at UNC-Chapel Hill this Fall Median and Pierce Freelon will be teaching Music 286 – Section 003: Emcee Lab, a class dedicated to teaching folks how to rap. 6. The NC State Cypher in Raleigh is one of the most important parts of North Carolina hip hop culture. It has come to be known as a “training ground” for lyricism. This coming Monday August 26, 2013 the NC State Cypher will celebrate three years. It’s going to be a celebration. Follow #NCStateCypher hashtag on Twitter for all of the details. 7. **The Art of Cool project, based in Durham, is a non-profit that presents and promotes live jazz, hip hop, soul and similar music throughout RDU. Their hip hop events have all been top notch and all around dope, from DJ Jamad, Robert Glasper and many more. Next year Art of Cool Project will be producing a full, two day mega festival in downtown Durham. It’s going to be most epic. 8. King Mez performed on 106 & Park’s Backroom. Y’all know they don’t let just any ol’ rapper grace the microphone in BET’s Backroom. Greensboro’s DJ Paradime was on the 1s and 2s during Mez’s freestyle. 9. Pete Rock, DJ Premier and Ali Shaheed Muhammed comes to Raleigh and DJs much talked about sets at 95 Live. 95 Live is THE monthly hip hop party jam in RDU. If y’all are ever in the area on a 2nd Friday night, it’s the place to be. Don’t come to just stand around either. Folks at 95 Live come to dance it out and get down on the floor. It’s usually always held at 5 Star in downtown Raleigh. Follow the #95Live hashtag on Twitter for upcoming events. 10. Grammy-award winning producer 9th Wonder receives a Harvard University Fellowship. His fellowship project “These Are The Breaks” will study sampling in hip-hop and feature his producer conglomerate The Soul Council. Videographer Kenneth Price is filming a documentary on 9th Wonder’s work at Harvard, appropriately titled “The Harvard Fellow”. 11. **Female presence is strong both on stage and behind the scenes. Radio/TV personality Nikki Nicole has a strong mutlti-media brand and Angel Brown has a great hip hop radio show on NCCU’s AudioNet. Tara Marie books shows, manages and does PR for several regional artists. Cicely Moore started and runs The Art of Cool Project (see #7 above). Through Sucker Free Sundays, A. Robb and Portia Daniels, owners of Eargasm Entertainment, presented one of the longest-running events for showcasing local and regional artists (several artists traveled from NYC, SC and GA as well). S. Dionne has done marketing with Jamla, AOC and many other music-based events in the area. Alexis Mastromichaelis owns and ran the NightLight club in Chapel Hill. Ms. Taylor of Underground NC produces beat battles and curates hip hop events. The list goes on. The above are just a couple of items that I’ve noticed and kept track of over the years. What about y’all though? Are there any additional items of note regarding hip hop culture in RDU that demonstrate the fact that hip hop culture lives and prospers here that have been left out? I’d like to hear from you. 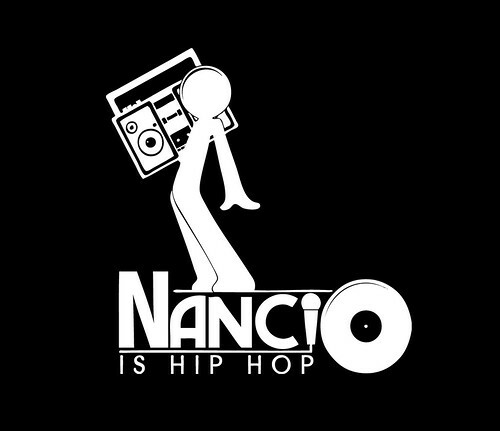 Leave a comment below, Tweet me @nancioishiphop or drop an email to nancioishiphop@gmail.com. This entry was posted in Commentary, The Local Buzz and tagged 9th Wonder, Ali Shaheed Muhammad, Apple Juice Kid, DJ Premier, J. Bully, Kenneth Price, Median, Pete Rock, Pierce Freelon, Rapsody, The Beast, The Real Laww, Toon. Bookmark the permalink.